PAN 2018 explores several authorship analysis tasks enabling a systematic comparison of competitive approaches and advancing research in digital text forensics. More specifically, this edition of PAN introduces a shared task in cross-domain authorship attribution, where texts of known and unknown authorship belong to distinct domains, and another task in style change detection that distinguishes between single-author and multi-author texts. 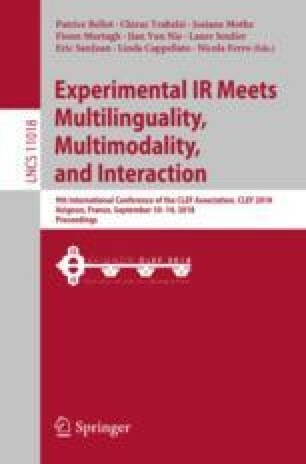 In addition, a shared task in multimodal author profiling examines, for the first time, a combination of information from both texts and images posted by social media users to estimate their gender. Finally, the author obfuscation task studies how a text by a certain author can be paraphrased so that existing author identification tools are confused and cannot recognize the similarity with other texts of the same author. New corpora have been built to support these shared tasks. A relatively large number of software submissions (41 in total) was received and evaluated. Best paradigms are highlighted while baselines indicate the pros and cons of submitted approaches. Our special thanks go to all of PAN’s participants, to Symanto Group (https://www.symanto.net/) for sponsoring PAN and to MeaningCloud (https://www.meaningcloud.com/) for sponsoring the author profiling shared task award. The work at the Universitat Politècnica de València was funded by the MINECO research project SomEMBED (TIN2015-71147-C2-1-P).